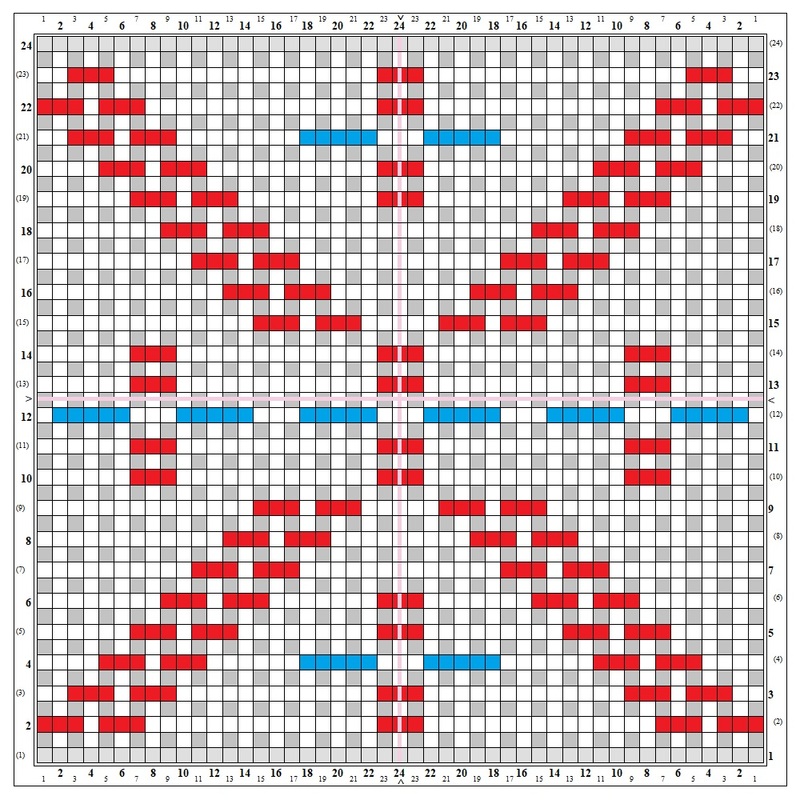 A blog reader asked if Star in a Cross could be woven on a 6″ loom. The answer is yes. 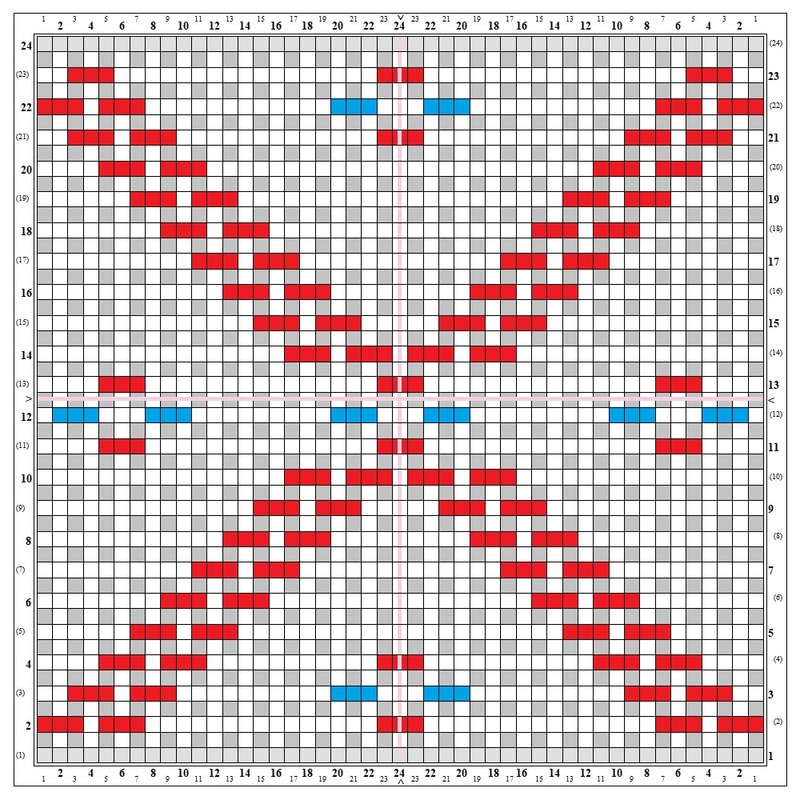 This is a pattern that transfers well to the 6″ loom. 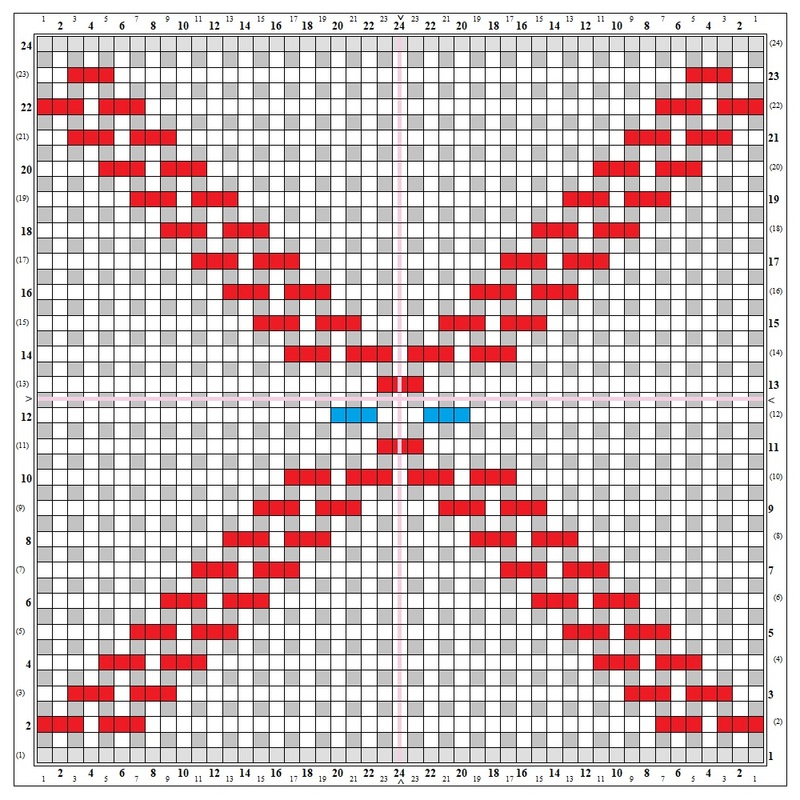 I had to diagram it to be sure because sometimes 4″ patterns don’t work well on the 6″ loom. 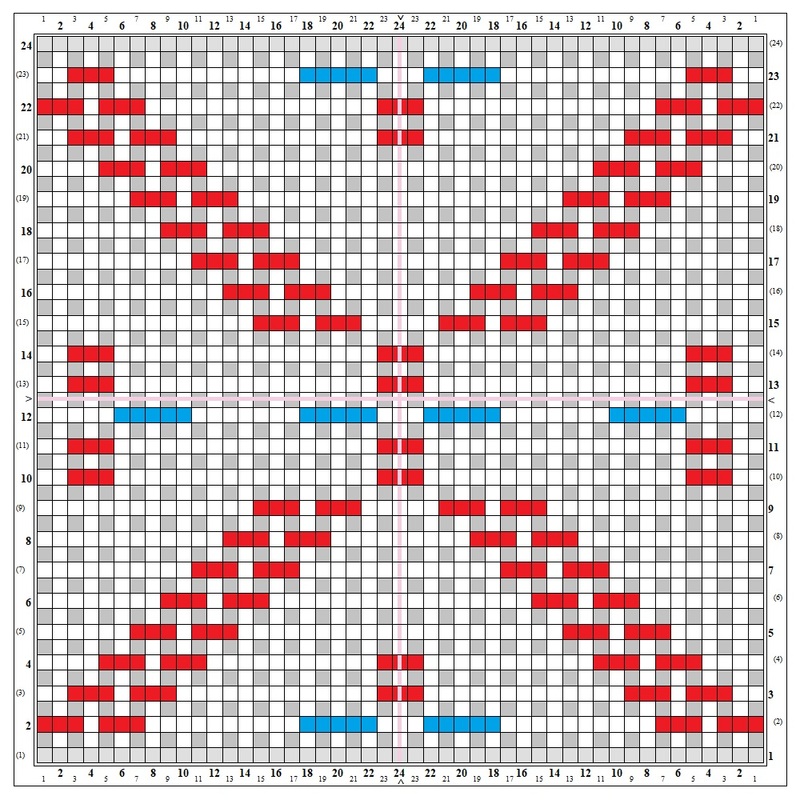 Because squares from the 6″ loom have a larger area, sometimes tiny motifs (such as the star in the center of the cross) won’t look very dynamic or significant. For that reason I played around with some variations. I haven’t woven any of these, so I’m not sure how they’ll turn out. There are still other options for this pattern, so I might need to go back to the drawing board. For now, here they are. Recommended warping: L1&2 dark/3&4 light.